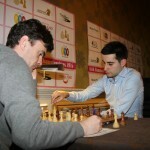 Russian Grandmaster Ildar Khairullin defeated long-time leader Jan Gustafsson to reach the tie for first place after the penultimate round of the 16th Bangkok Chess Club Open, Thailand’s strongest-ever tournament. 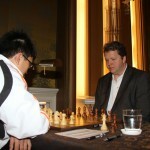 Khairullin became one of the tournament’s five pace-setters after the top two boards in the eighth round ended in draws. 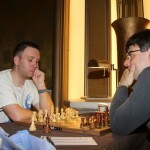 Spanish top seed Paco Vallejo missed a golden opportunity to take the tournament’s outright lead when he had Indian Grandmaster Surya Ganguly on the ropes, but Ganguly’s exceptional knowledge of technical rook endgames enabled him to scramble a draw. 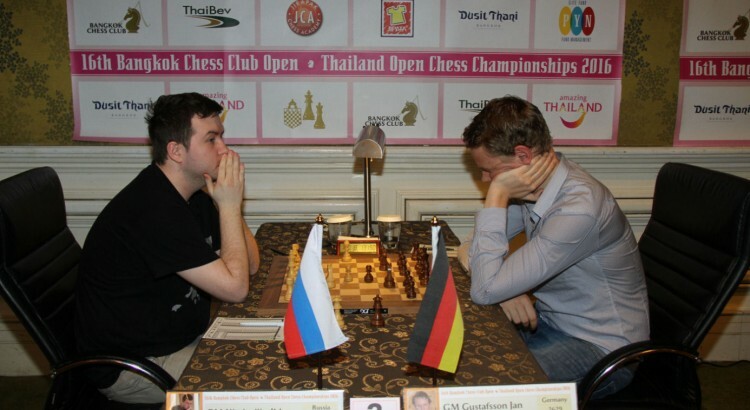 The two Dutch Grandmasters at the top of the table, Loek van Wely and Benjamin Bok, had a less eventful game, seemingly exhausted from their earlier violent Thai chessboxing battle, won by van Wely with his battle cry of “If he dies, he dies!”. So going into the final round, Vallejo, van Wely, Bok, Ganguly and Khairullin are all tied for first place on 6.5 points from a possible 8. 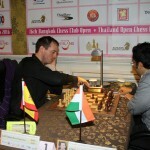 Since the tournament title is decided on tiebreak, van Wely and Vallejo are best placed to take out the coveted Bangkok CC Open title, should they win the final round. 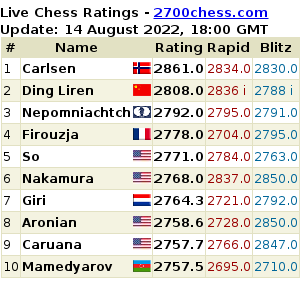 The race to become the best Thai player has also heated up, with Wisuwat Teerapabpaisit, Jirapak Pitirotjirathon and Thanadon Kulpruethanon all tied on 5 points. 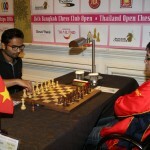 325 players from 43 countries, including 13 Grandmasters, are competing in the Bangkok Open tournament, held in the centre of Bangkok at the Dusit Thani Hotel, with admission free for spectators. 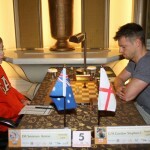 The final round of the Bangkok CC Open begins at 9am on Sunday.